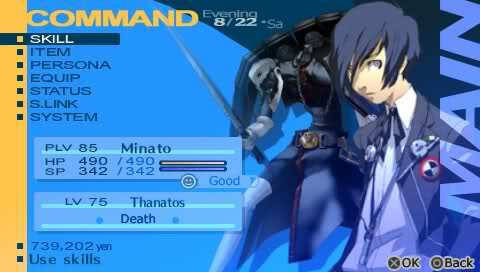 Ask DN: What video games have the best UI? I am starting video game side project with some friends and need some inspiration! What are your favorite game interfaces and what are some good resources? 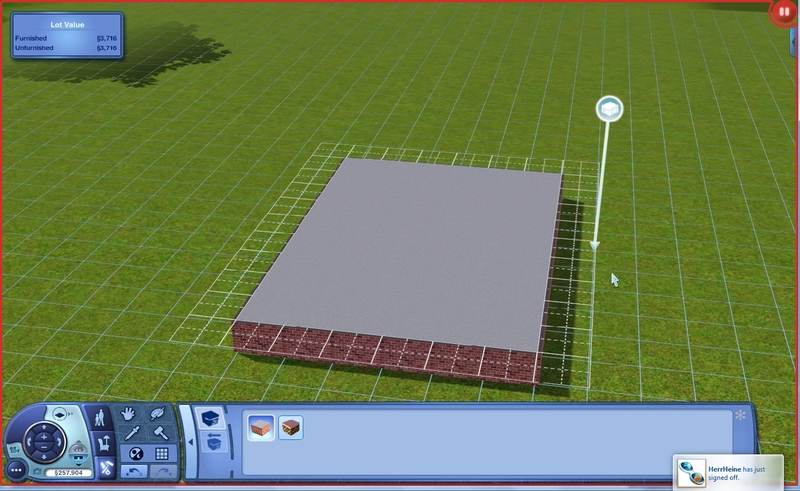 Man, this is hard - because I love videogames, and I love UI, but I do not love videogame UI. So true.. but surely there must be a small glimmer of hope somewhere! 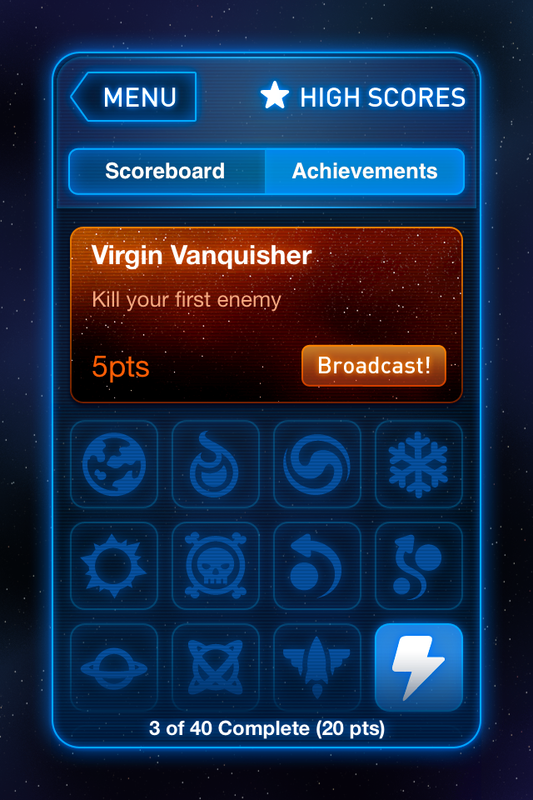 Videogame UI can be deeply difficult but incredibly fun to do because of the challenge. My personal opinion for best UI is Ravenshire Castle (it's no longer around). Also, I worked on it! It was fun working on the UI and UX. Oh boy... I'm fairly certain that the hours spent customizing my WoW UI has lead me to be a web designer. I obsessed over that thing... Getting exactly the right amount of information I needed. I did spend quite some time on it, though. I've always liked the UI's of the Grand Theft Auto series, especially for GTAV. The weapon/radio selector in GTAV is great. Very intuitive and new (to me at least). All these comments appear to be focussed on the placement of pixels for HUDs and menu systems, rather than how we use the interface. For me Mirror's Edge has the best UI. The red objects that are interactive make the gameplay simple, intuitive and non-obstructive. Agreed, just about everything in this thread are awful interfaces IMO. Clumsy and full of friction, rarely intuitive, and often vulgar in appearance. Everything glowing like 90s fantasy art. Metroid Prime totally set the benchmark for immersive first-person HUDs before they became commonplace in games. Plus I love the way the different visors (scan, thermal, x-ray) each have a distinctive take on the default one. This is a great example. Deadspace is cited by several people, myself included, but this was a precursor to that in many respects. I really liked how the UI was curved to match the contour of Samus' visor and that some of the visor was visible in Samus' field-of-view when playing. There were moments when a flash in the game would cause a reflection of her face to appear on the visor glass. That was a great detail. Oh man this. There were so many delightful details in the Prime Trilogy's helmet–projected user interfaces. Metroid Prime really was a great series. 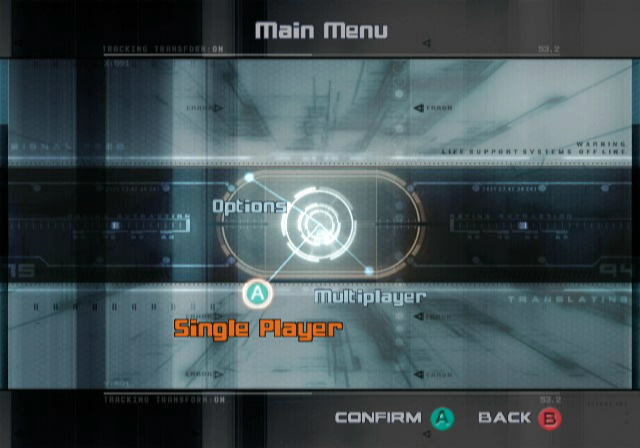 Metroid Prime 2 had a menu system that was kinda-sorta the precursor to the modern radial menu. You move the analogue stick to sort-of rotate the central area. It was one of the first - that I remember - UIs to take advantage of the analogue sticks and make something that wouldn't work with a D-Pad. I also liked that every item on the menu was only one move away, much better than the traditional list menu in that regard. It was an interest concept, to be sure, but I also remember menus with multiple options in that game being a game of luck. The 3D maps, on the other hand, we're a joy to interact with. Agree - I think Hearthstone could be one to keep an eye on - it's their first foray into the tablet/mobile game space after decades of experience with PC games. I'm finding it very interesting to see the game roll out first on the PC platform with something which feels like it will drop into droid and iOS tablets without any major layout/interaction changes. There will apparently be a mobile version after this which I can only assume will have some interesting new patterns. Dead Space is definitely a huge contender for me. So many clever ways of integrating the UI in ways that were both intuitive and setting-appropriate. Crosshairs that were laser projections of the projectile shape, menus that were holographic projections, wayfinding paths that would blast onto the environment itself. 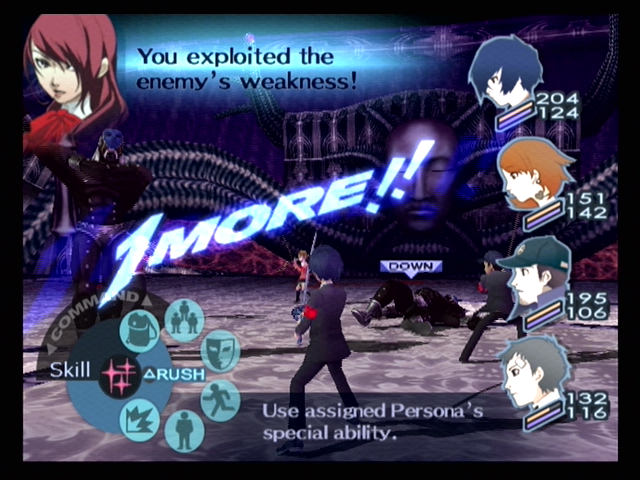 Everything looked great, was super usable, and felt perfect within the game's universe. I really like Deadspace. It had a flat, Minority Report like appearance, and heightened the sense of immersion as it was projected from your character's suit. It was a part of the world. Just my kind of topic! As a UX designer in the video games industry, as lot of people are talking about the augmented reality approach in The Division. Expect to see more of the AAA games to shun 2D overlays and popup boxes in favour of this more immersive style if Massive are able to pull it off. I really like how it was done in Journey - there is very little hand-holding "press X to whatever" and all the important information that would normally be on a HUD or some icons in the corner of the screen is tastefully communicated in the world. 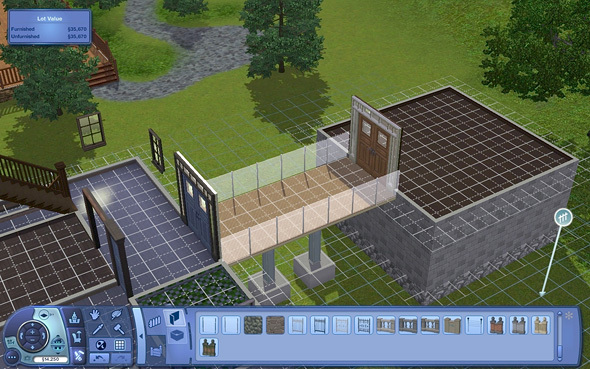 I think the older The Sims have one of the best UI of games out there. Very technical stuff translated into understandable and intuitive design. I play a lot of games. 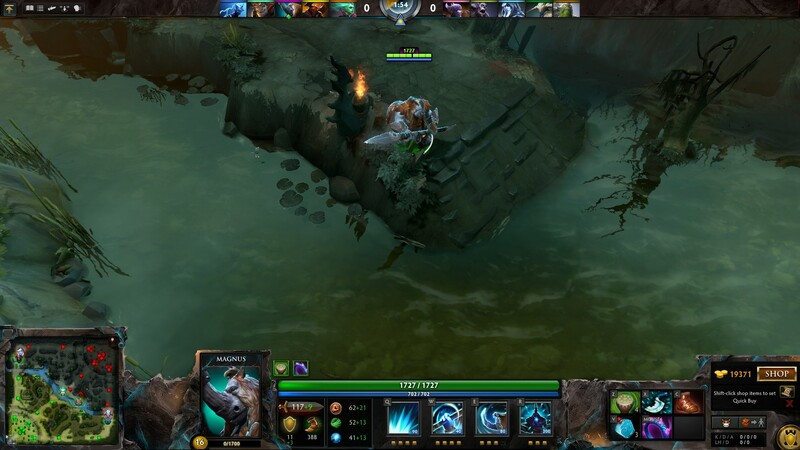 Here are some games with the best UI's or UI mods to make them better. 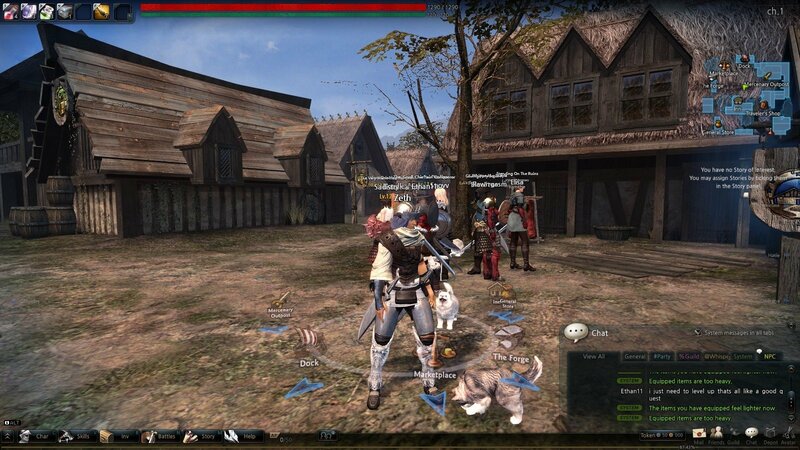 I think generally the UI that is most interesting within games is when it is related to the game itself. This comment is focused mostly on menus. 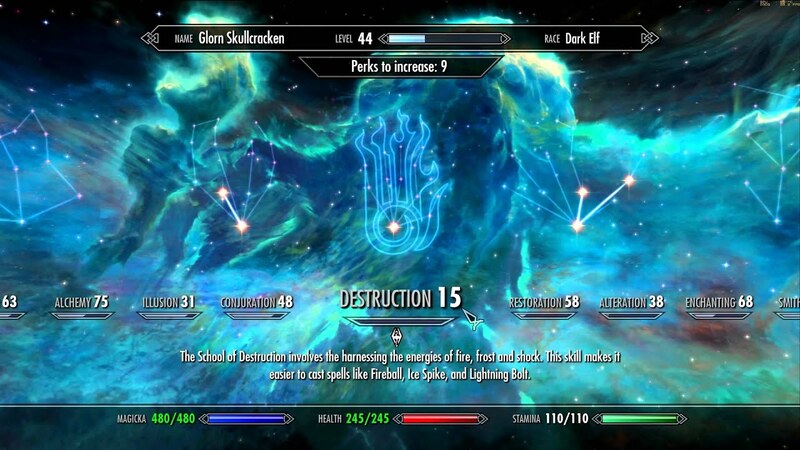 Skyrims upgrade system uses a constellation interface that works quite well as a representation of a traditional game skill tree and is relevant to the Elder Scrolls series as a whole. Portal has a fairly straightforward implementation of the Source Engine/Valve main menu but uses subtle effects that mimic in game behavior of test room tiles. 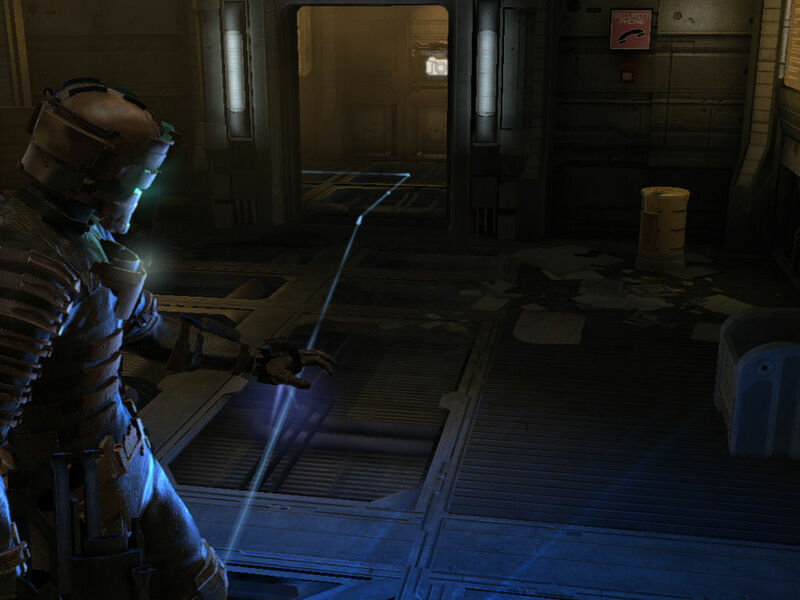 Dead Space brings a lot of the game menus into the game world via a holographic projection and one particularly genius move was to put the typical HUD display of health into the actual back of the suit of the player. 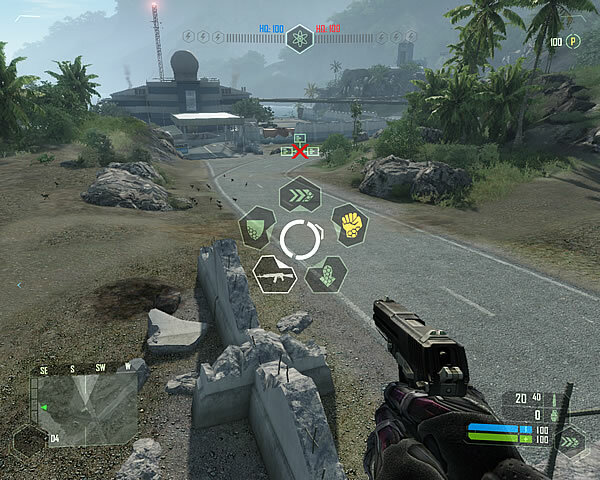 Mass Effect uses a radial menu interface that is controlled in a similar fashion as the in game conversation system. Unfortunately for the most part there isn't a lot of innovation in general with game menus but I think the ones that succeed the most bring a bit of the gameplay experience to the menu system or bring the menu into the game entirely. Check out Noteloop's Fantasy UI collection. There are a few games in there as well as concepts from other media. edit: Here's a great Gamasutra article on how to approach Diagetic vs non-Diagetic UI. Dead Space has that (if I remember it correctly) health meter on the character's back. Kinda clever, if you ask me. DiRT was pretty cool. All of the Codemasters racing games have a similar 3D menu interface that I always enjoyed. I think The last of Us, or any recent game from the Assassin's Creed franchise. FIFA 14 and Assassin's Creed: Black Flag got decent ones. Smash Bandits Racing (iPhone game) has a pretty slick/modern UI and some really nice animations and interactions. Also free, and pretty fun in my mind. 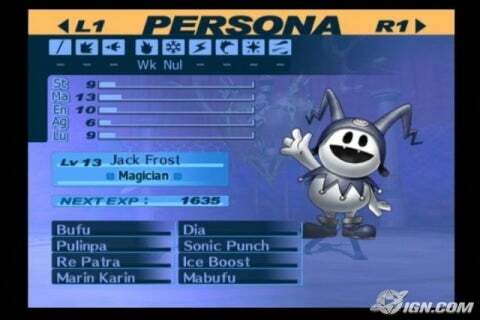 Shin Megami Tensei: Persona 4 has a very stylish UI, if I'm not mistaken; it has been a while. I'll try to find screenshots later. This is one of those dream projects for me. I love video games but rarely dig the UI, especially on sports games. Assassin's Creed is one that I am particularly fond of though. 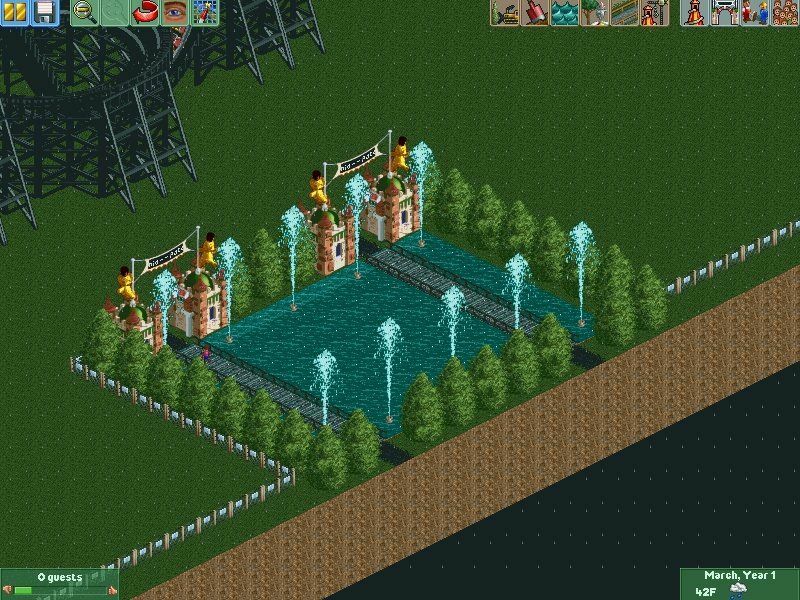 Have fun with this project! Depends on what you're looking for... Shooters? Puzzle Games? RPGs? 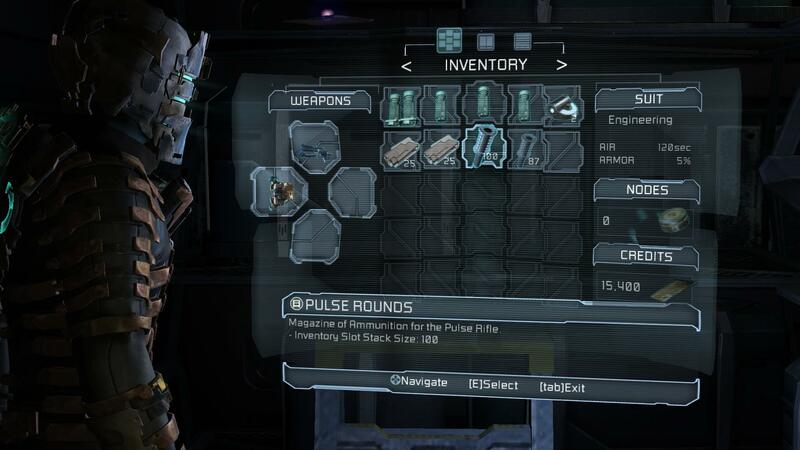 I for one really like the in-game interface for Mass Effect 3. It does a great job conveying your current health/abilities cooldown & where you're getting shot from, compared to alot of other shooters... Borderlands 2 for example makes it difficult to figure out what 's going on and what your current health state is. This is amazing! It would have taken me hours to find all this. Thanks so much DN! It's super simple, but I love the UX in Stalagflight. The menu has a nice weighted feel when it slides into view. I really liked Diablo III. Assassin Creed Game also is really easy and well done. You're using HTML. DN uses Markdown. Click the "Markdown supported" link beneath the comment entry text field to learn more about Markdown.